In the summer of 793 AD Viking raiders attacked and looted the monastic island of Lindisfarne. This assault took the Anglo-Saxons by surprise. The cleric Alcuin wrote; "Never before had such terror appeared in Britain." This though, was only the start. 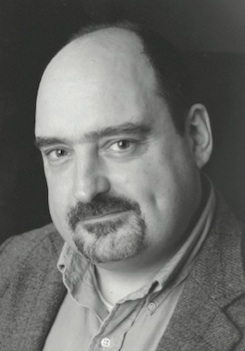 Within 18 months an Irish monk wrote that all of the British Isles were now being devastated by these pagan raiders. To these monks this was the fulfilment of the biblical prophesy which foretold that "out of the north an evil shall break forth upon all the inhabitants of the land". By then it seemed nowhere was safe from the terror and destruction these Viking warriors had unleashed. So, who were these mysterious sea raiders? In this new book, veteran historian Angus Konstam answers that question, and many more besides. While the topic has been covered before, the Haynes Manual format allows the Vikings to be seen in a new light. By focussing on the Viking Warrior as a fighting figure, much like Haynes did so successfully with the British Tommy, these mysterious figures from the dawn of recorded history are fleshed out and brought vividly to life. The "manual" explores their background and culture, the way they lived and dressed, the weapons they carried and how they used them. It looks at their system of belief and their allegiances to family, community and king, but it also explains just why they were so effective as plunderers and raiders. Above all the Viking Warrior will be vividly brought to life. The book will also look at the broader picture. It will paint a picture of the Scandinavian kingdoms these Viking warriors came from, and also the lands they raided. As the initial raids were followed up by settlers and then armies of conquest, the book will examine this transition, and explain why the Viking raiders evolved into settlers, explorers and rulers. 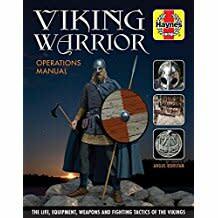 The result is a book which uncovers the world of the Viking Warrior in a way which has never been done before, presented in the highly accessible yet informative style that characterises the groundbreaking Haynes Manual series.